Shell - I Say Ding Dong Shop - Buy Stickers, Decals & Unique Automobilia. 'Running In - Please Pass' Shell & BP Racing Sticker. 15". 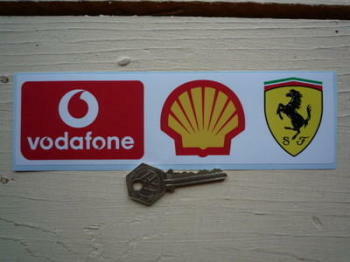 Ferrari Sponsors Vodafone Shell Oblong Sticker. 8". Imola Shell 200 Miles Autodromo Dino Ferrari Sticker. 4.75". 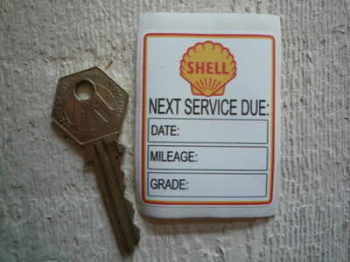 Shell 'Next Service Due' Service Sticker. 2.25". 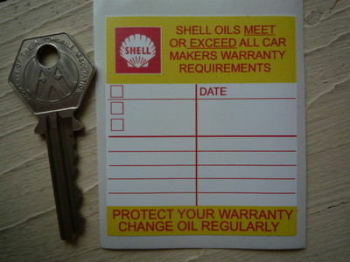 Shell 'Protect Your Warranty' Service Sticker. 2.5". Shell Advance Printed & Cut Vinyl Sticker. 12". 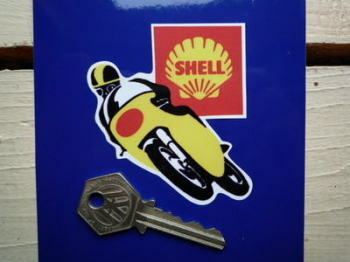 Shell Bike Racer Sticker. 3". Shell Block Style Vertical Cut Outlined Text Sticker Various colours. 19"
Shell Cut Vinyl ICA Sticker. 4.75" or 7.75". Shell Fuel Filler Sticker. 3". 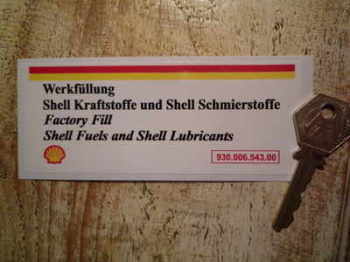 Shell Fuels & Lubricants Sticker. 930.006.543.02. Engine Bay. 4.5". 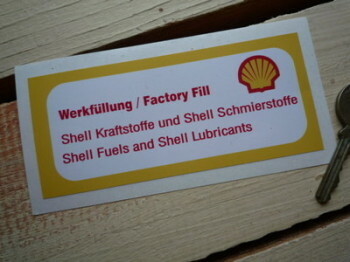 Shell Fuels & Lubricants Sticker. Engine Bay. 3.5". Shell Fuels & Lubricants Sticker. Engine Bay. 4.5". Shell Gasoline Sticker. 8.5" or 12". 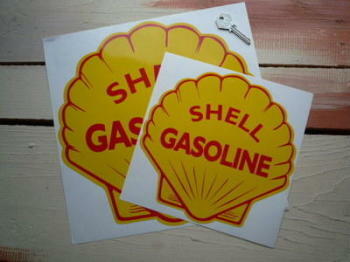 Shell Gasoline Stickers. 2", 4" or 6" Pair. Shell Gemini Cut Vinyl Sticker. 10". 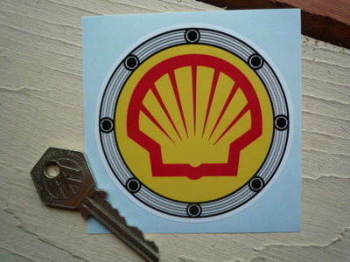 Shell Gemini Oil Cut Vinyl Sticker. 16". 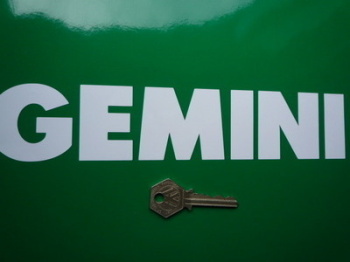 Shell Gemini Oil Cut Vinyl Sticker. 6". 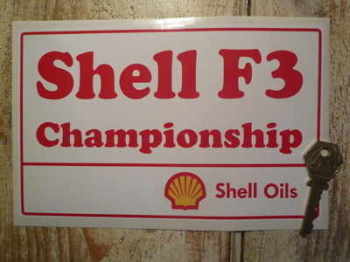 Shell GP Racer Sticker. 5". Shell GP Racers Stickers. 5" Handed Pair. 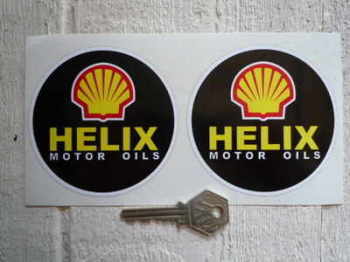 Shell Helix Motor Oils Stickers. 3.5" Pair. Shell Le Mans Style Stickers. 5" Pair. 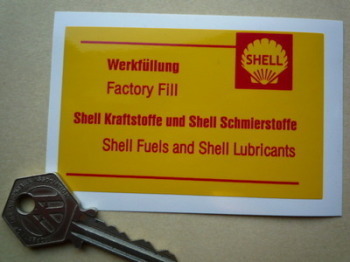 Shell Lubricating Oil Cut Vinyl Sticker. 25.5". Shell Modern Crossed Chequered Flag Sticker. 6". Shell Motor Oil Outlined Text Stickers. 12" Pair. Shell Motor Oil Outlined Text Stickers. 6" or 9" Pair. Shell Motor Spirit Outlined Text Stickers. 8" or 12" Pair. 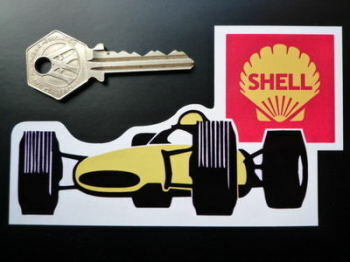 Shell Old Racing Car Style Stickers. 4" Pair. Shell Old Style Cut Curved Outlined Text Sticker. 14". Shell Old Style Printed Shell Shaped Stickers. 4", 6", or 8" Pair. Shell Old Style Vertical Cut Outlined Text Sticker. 16" or 32". Shell Old Style Vertical Cut Outlined Text Sticker. 5" or 8". Shell Old Vintage Cut Out Red Shell Sticker. 16".